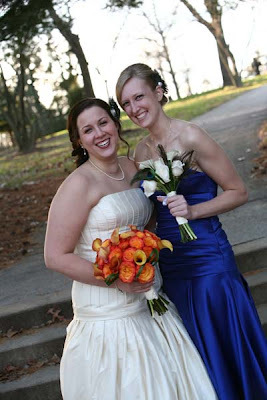 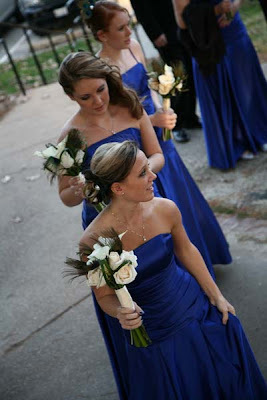 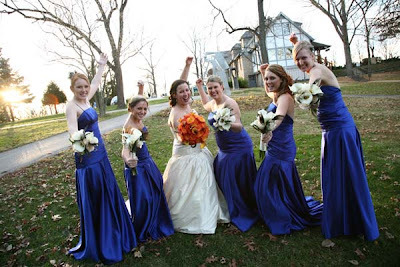 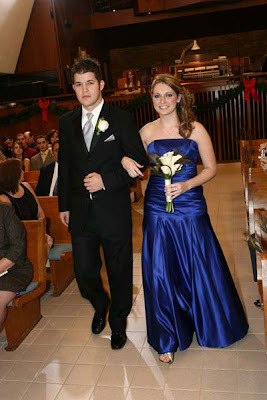 The feathers were used to tied in shades of blue in the bridesmaids’ bouquets. 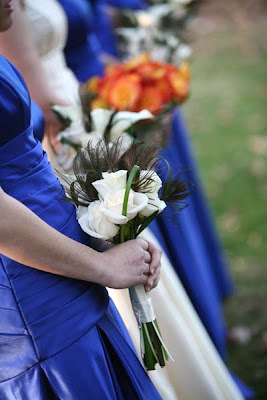 They carried white calla lilies, ivory roses, accented with the peacock feathers and looped lily grass. 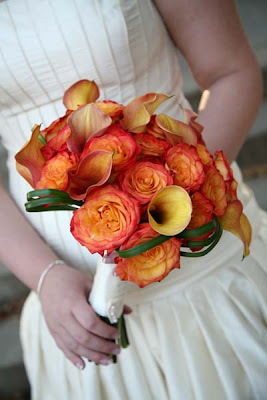 The bridal bouquet was a fall mix of mini calla lilies, roses, and looped lily grass. 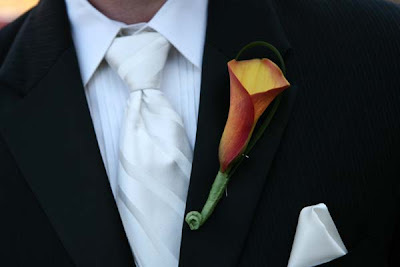 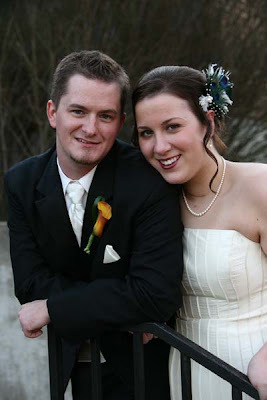 The groom wore a fall calla lily to match his bride. 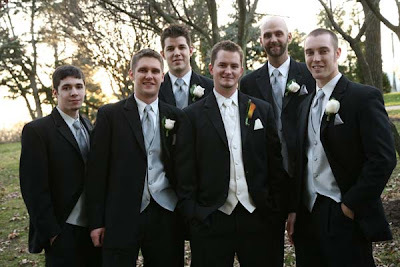 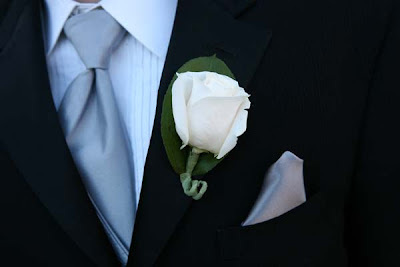 The other guys wore an ivory rose to match the girls. 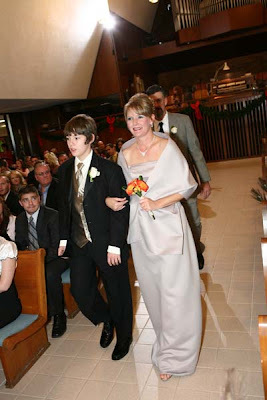 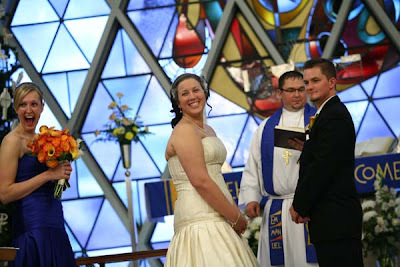 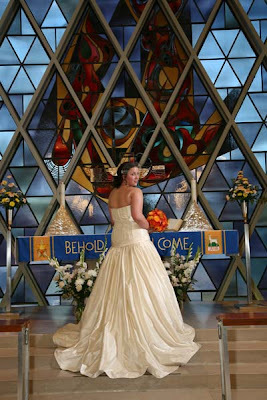 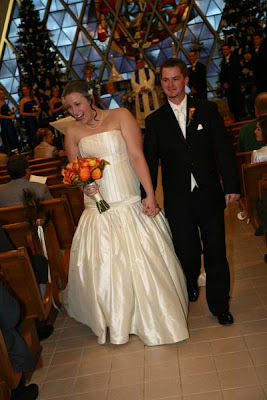 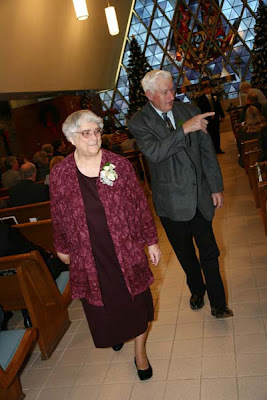 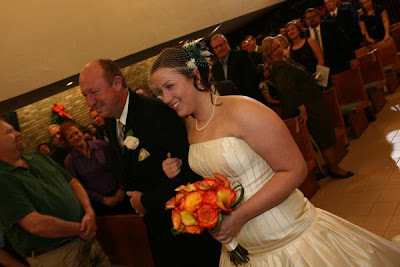 The ceremony was held at the Lutheran Church of the Resurrection. 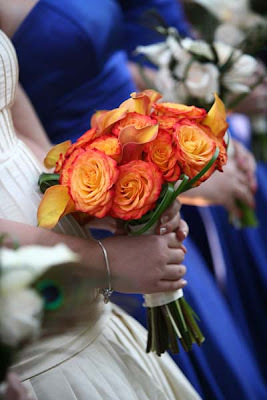 The mothers carried a few fall flowers instead of wearing flowers. 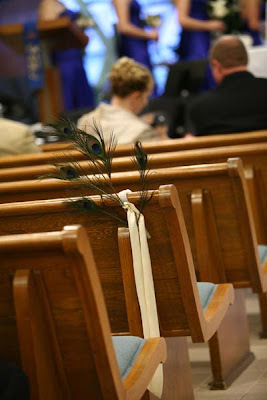 A cluster of peacock feathers decorated the end of each pew. 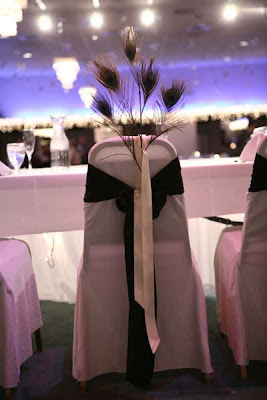 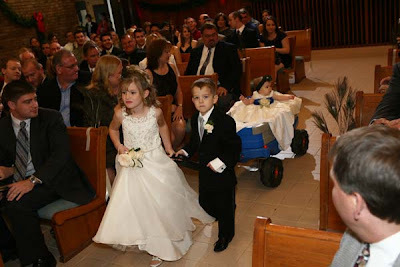 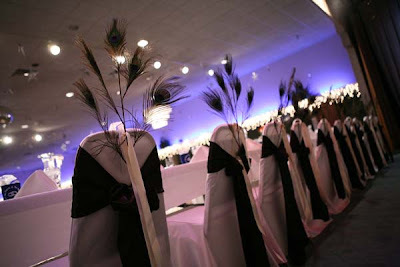 The feather from the pews were used on the backs of the chairs at the reception. 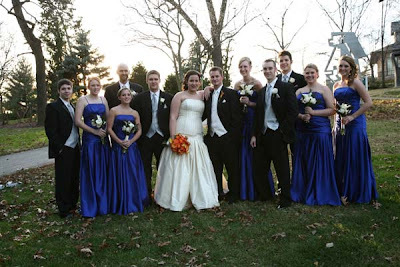 Best wishes to the bride and groom and their families! 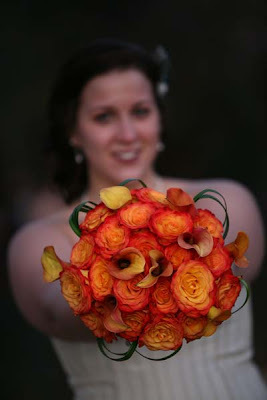 It was a pleasure working with you!